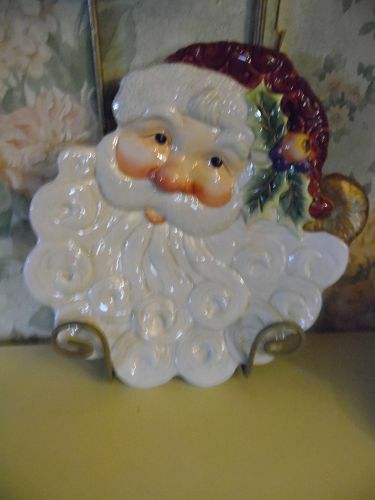 Pretty covered dish would be lovely in your bathroom or bedroom vanity area. 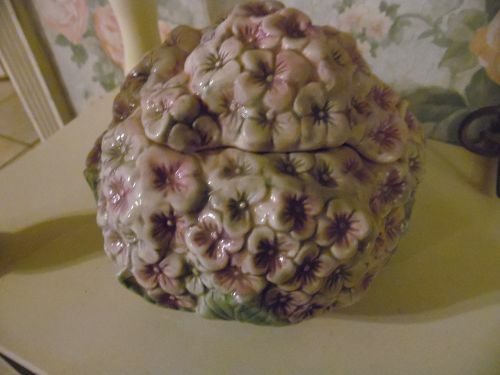 Made of ceramic in the shape of a large hydrangea cluster of lavender and paaale green. 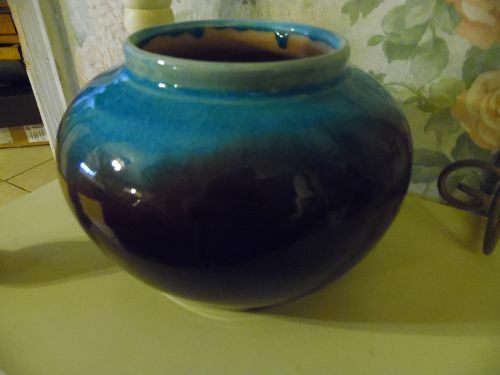 Measures 4.5" tall and is about 6" diameter. Wonderful condition. May possibly have a very tine chip repair on one of the edge flowers. Hard to tell, maybe it was from the initial firing or a really good repair. (anyway it is VERY small). 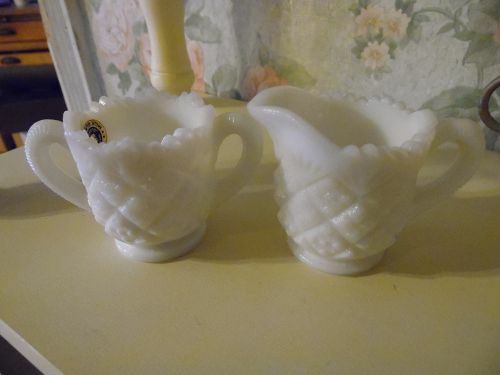 Vintage Westmoreland Miniature or Child's Milk Glass Sugar & Creamer Set. The original Westmoreland sticker is still intact on this beautiful little sugar and creamer. The set is in excellent, pre-owned, condition. There are no chips, no cracks, and no repairs. The creamer is 2.375" tall x 3.5" and the sugar is 2.25" tall x 3.5". If you collect Vintage Westmoreland Glass, Milk Glass, Sugar & Creamers, or are looking for a nice miniature / child's set, these are a must have! So adorable! 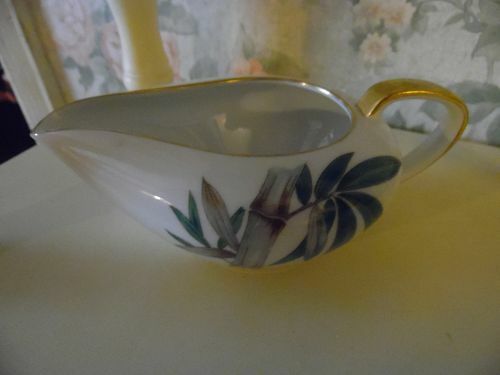 Noritake Canton creamer. 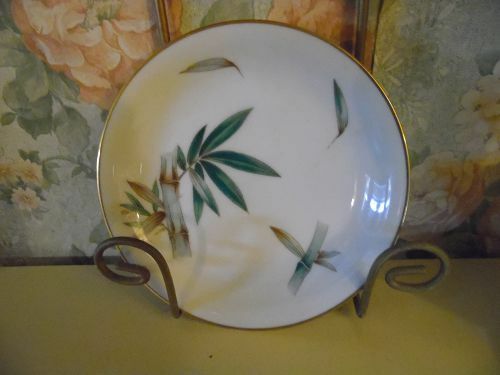 Beautiful classic vintage Asian pattern, Canton, #5027 by Noritake, bamboo with leaves and gold highlighted on edges. Made from 1950-1964. Beautiful condition with no chips or cracks. Gold is great. All pieces I will be listing has a 98% or better grade on the gold trim. I will be listing several other pieces in this great pattern. Save $ on shipping when you buy multiple pieces. Please send your zip code when inquiring so I can calculate postage for you. 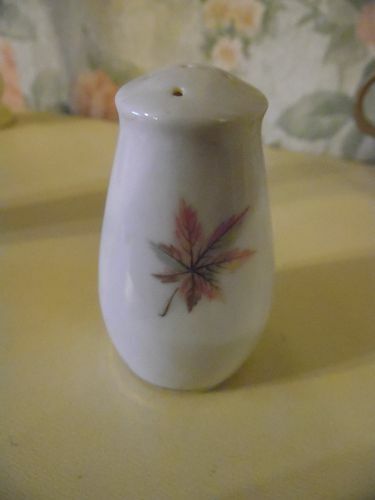 Lovely vintage leaves pattern single pepper shaker (5 holes) by Royal Ming China, Japan. 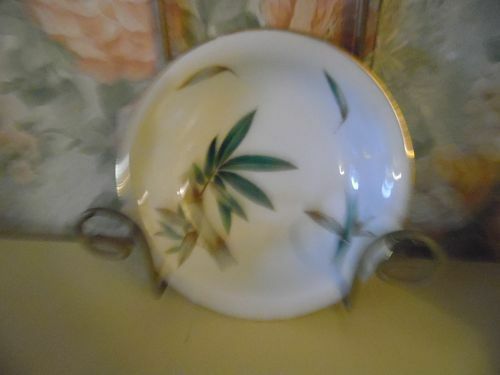 Single leaf on front and back with edge gold trim. No chips cracks or wear. I will be listing other pieces to this pattern. Please include your zip code when inquiring. 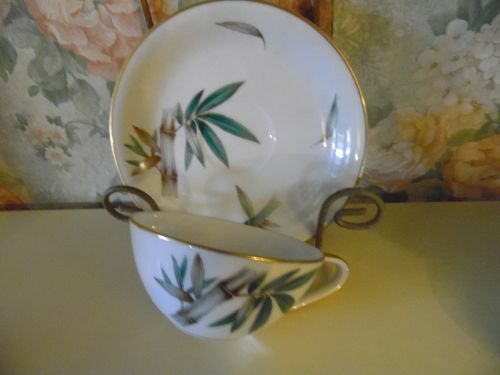 Lovely vintage leaves pattern cup (no saucer) by Royal Ming China, Japan. 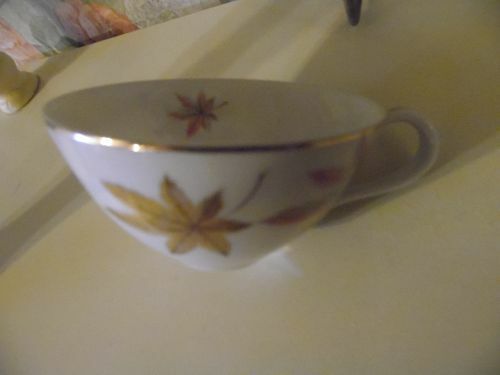 Scattering of leaves inside and outside of cup, with and edge gold trim. No chips cracks or wear. I have 5 available, and price is per cup. I will be listing other pieces to this pattern. Please include your zip code when inquiring. 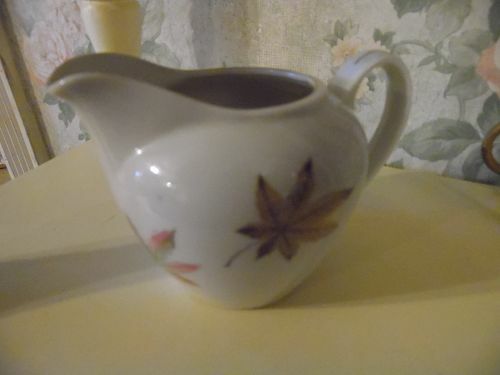 Lovely vintage leaves pattern creamer by Royal Ming China, Japan. 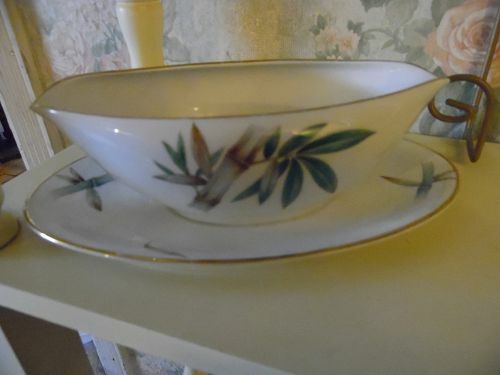 A scatter of leaves with edge gold trim. No chips cracks or wear. I will be listing other pieces to this pattern.Please include your zip code when inquiring. 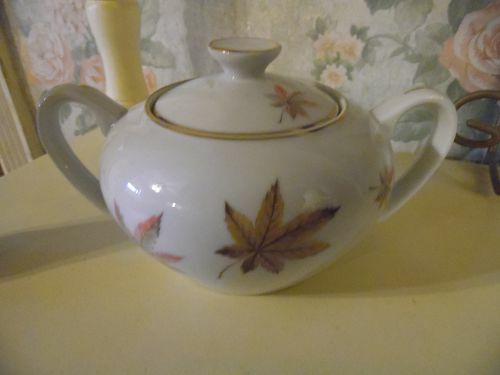 Lovely vintage leaves pattern covered sugar bowl by Royal Ming China, Japan. 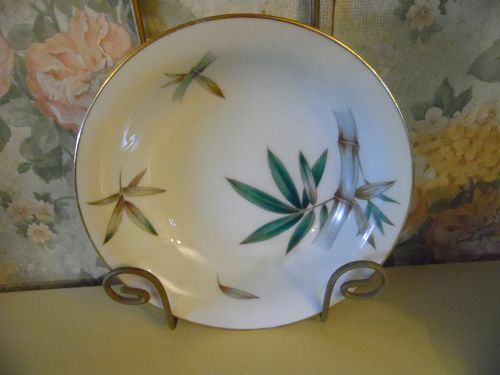 A scatter of leaves with edge gold trim. No chips cracks or wear. I will be listing other pieces to this pattern.Please include your zip code when inquiring. 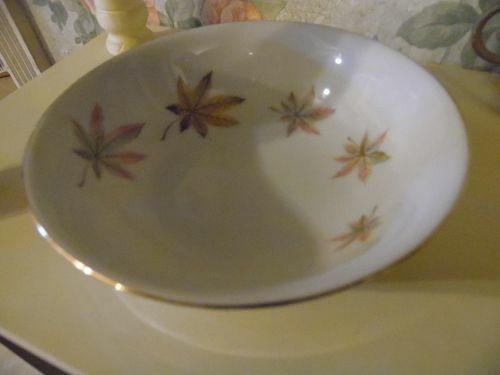 Lovely vintage leaves pattern coupe soupe bowl by Royal Ming China, Japan. Measures 5 3/4" diameter. 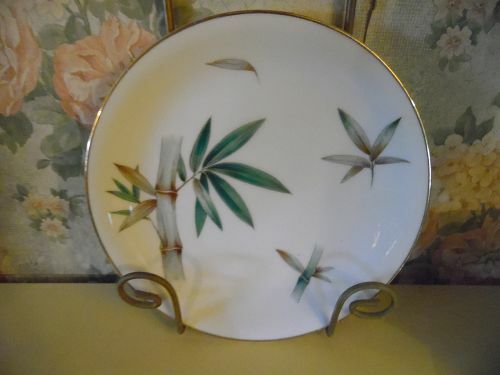 A scatter of leaves with edge gold trim. No chips cracks or wear. I have 5 available, and price is per bowl. I will be listing other pieces to this pattern.Please include your zip code when inquiring. 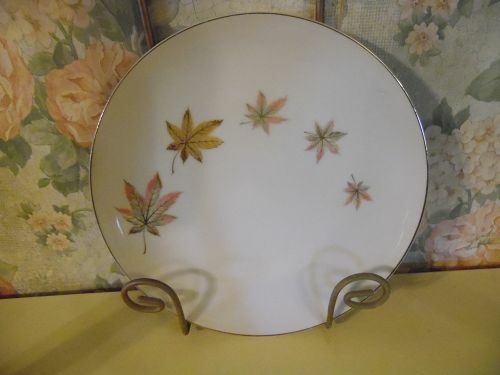 Lovely vintage leaves pattern salad plate by Royal Ming China, Japan. Measures 8 1/8" diameter. A scatter of leaves and edge gold trim. No chips cracks or wear. 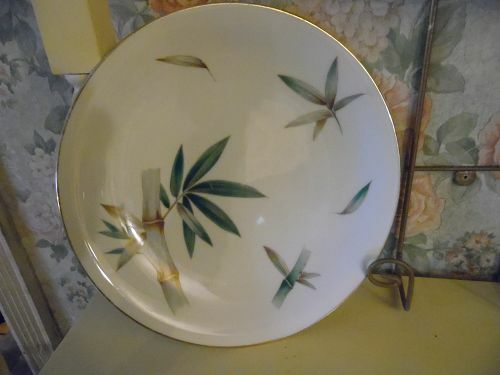 I have 5 available, and price is per plate. I will be listing other pieces to this pattern.Please include your zip code when inquiring.